This page is for the original release. For the remastered version, see Assassin's Creed III Remastered. A remaster of Assassin's Creed III: Liberation's singleplayer campaign for the PlayStation Vita. Delete or rename ACLHD_loadingBgr.bik and ubi_logo.bik. Go into the folder for the game language. Delete or rename the intro file (e.g. intro_eng.bik for English). The Warning Disclaimer file must remain. 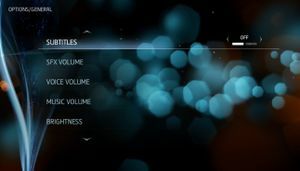 Otherwise, the game will not proceed to the Press Any Button introductory screen. Use jim2point0's cheat table (requires Cheat Engine). Off, Normal, High, Very High. Normal seems to be a post-processing effect, while high and very high are much more GPU-intensive. Double buffered. See FPS drops from 60 to 30 when Vsync is enabled for triple buffered v-sync. Frame rate is capped at 60 FPS. 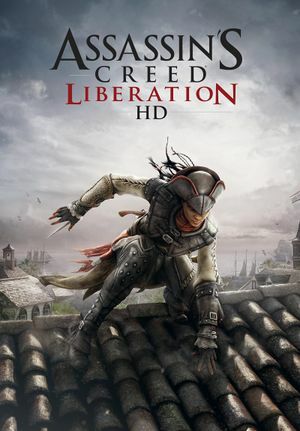 Use Helix Mod: Assassin's Creed Liberation HD. May be caused by a strange interaction between one version of XAudio2_7.dll and the on-screen keyboard service. Open the Start menu, type msinfo32, and press ↵ Enter. In Software Environment\Windows Error Reporting look for entries with ac3lhd_32.exe, and check that the faulty module is XAudio2_7.dll. Create the following batch command using your actual installation folder path. 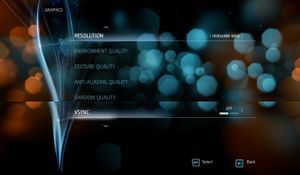 cd /d "<path to the game>\Assassin's Creed Liberation"
Save as a .cmd and launch as an administrator. To simply this process further, create a shortcut to the .cmd and choose Run as an administrator in the shortcut's advanced options. The game's icon can even be used as the shortcut. Much like in Assassin's Creed IV: Black Flag, this issue is caused by a lack of triple buffering in the game. Do not force VSync in D3DOverrider, only triple buffering. Enable VSync in game options (or force it in Nvidia control panel or Nvidia Inspector). Other workarounds for Assassin's Creed IV: Black Flag can also be used. On slower or firewall-protected Internet connections, UPlay Sync may fail repeatedly, causing abnormal drops in framerate. Disable Internet connection before launching the game and maintain until exiting the game. To sync UPlay achievements and saves, enable Internet, sync, quit the game, and then repeat disabling the Internet connection for normal play. No progression-related in-game features are affected by this fix as no multiplayer is present in the game and UPlay unlocks are added by the UPlay client in a save outside the game. ↑ 1.0 1.1 File/folder structure within this directory reflects the path(s) listed for Windows and/or Steam game data (use Wine regedit to access Windows registry paths). Games with Steam Cloud support may store data in ~/.steam/steam/userdata/<user-id>/260210/ in addition to or instead of this directory. The app ID (260210) may differ in some cases. Treat backslashes as forward slashes. See the glossary page for details. This page was last edited on 1 April 2019, at 04:58.